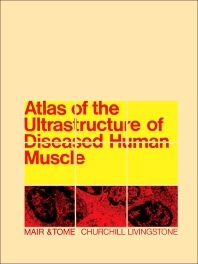 Atlas of the Ultrastructure of Diseased Human Muscle provides a general view of the ultrastructure of normal and diseased human muscle. This book contains five chapters that illustrate the changes that take place in common pathological conditions and outline the patterns of change, which occur in particular diseases. Chapter 1 describes the ultrastructure of normal striated muscle and the extra-ocular and cardiac muscle. This chapter also deals with skeletal and cardiac muscle of the human fetus. Chapter 2 examines the changes in the ultrastructure of muscle fibers, including changes in myofibrils, mitochondria, lipid bodies, plasma, and basement membranes. Chapters 3 and 4 evaluate the changes in blood capillaries, interstitial tissue of muscle, nerves, motor end plates, and muscle spindles. Chapter 5 discusses the ultrastructural changes in various muscle diseases, such as denervation atrophy of muscle, muscular dystrophies, polymyositis, and congenital myopathies.